Tripps Travel Network loves when vacations and learning can go together, even for adults. National parks offer a high educational value at a great price, and are a perfect side trip, day trip, or stop along the way. 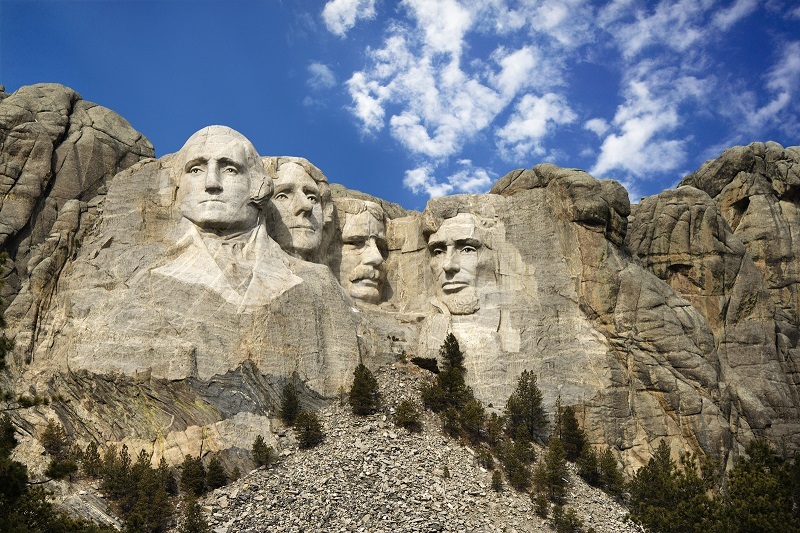 Mount Rushmore is the most popular attraction in South Dakota. Tripps Travel Network highly recommends this as a stop on your South Dakota vacation. The memorial is open year round from 5am to 11pm, and has a gift shop, hiking trail, and museum. National Park Rangers are available to answer questions and give tours. If you can, arrive before sunrise to see the memorial at dawn. Carver’s Café is a great place to grab a treat before or after you explore the memorial. Famous for bison herds, scenic dries, and historic sites Custer State Park is one of the nation’s largest state parks. Located just 15 miles from the city of Custer, the park has been showing a diverse cultural heritage since the early 1900s. There are several things to do at the park including horseback riding, hiking, and wildlife viewing. One must is to explore a section of the Peter Norbeck Scenic Byway. The Badlands National Park is full of spires, pinnacles, buttes, and gorges creating a unique topography and a strange beauty in the desolate land Tripps Travel Network recommends visiting either early or late in the day, when the shadows help define the landforms. Some great hiking options are Saddle Pass Trail, Castle Trail, and the most popular Fossil Exhibit Trail, which shows some of the park’s past. Tripps Travel Network encourages everyone to get out and explore this great country. National Parks are a great place to start, and in places like South Dakota, they offer a lot of fun things to do and see.